Apple has acquired a Colorado start up that specializes in making ‘vibrant’ lenses for Augmented Reality glasses. According to 9to5mac.com, Akonia Holographics was started in 2012, and initially was working on ‘holographic data storage.’ They soon focused on creating displays for AR glasses, and have over 200 patents for that kind of tech. Apple has been thought to be working on AR glasses, and may release some type of AR headset or glasses next year or in 2020. Dyson, which disrupted the vacuum business a few years ago, and has made further forays into fans, heaters, and even a hair dryer using improved tech, is pressing ahead on an electric vehicle. Emgadget.com reports that they have proposed a development facility at Hullavington Airfield that includes 10 miles of test tracks…you don’t need that to test out vacuums! The already have $110 million invested, and look to more than double that amount towards the project. if things go to plan, Dyson would like to roll out an electric vehicle by 2020-2021. If you are on Twitter at all, you know you get their suggestions on who to follow. Now, mashable.com says the social network is testing out suggestions for people to unfollow…mainly ones you do’t engage with on a regular basis. Twitter says the feature would give users a more relevant Twitter timeline. Considering the firehose that Twitter is, a lot of us barely notice the accounts we don’t engage with anyway. Twitter may or may not make the feature permanent, depending on how the testing works out. The iPhone X last year ended up selling better than some expected, but wasn’t the explosive ‘super cycle’ some thought it might be. Now, macrumors.com says DigiTimes is predicting something approaching that super cycle…the biggest iPhone selling season since the iPhone 6 in 2014. One key reason: the expected cheaper 6.1 inch LCD screen handset. As previously reported, the cheaper phone is expected to be $600-$700, while the replacement 5.8 inch OLED model will be $800-$900, with the new bigger 6.5 inch near-phablet starting at $1000. Suppliers are estimating 70-75 million phones will ship by the end of 2018 with this lineup. As we reported, it looks like the rollout will be September 12th, with preorders starting Friday September 14th. Dell has announced the new Inspiron Chromebook 14. The rig is a two in one, a Chrome OS convertible on steroids. Arstechnica.com reports that it has the look and feel…and even power…of Dell’s Windows based Inspiron machines. It has a metal body, and comes with a pen to use with the 14 inch touch screen. The convertible starts at $599, and has an Intel Core i3 processor, 4 gigs or RAM, and either 64 or 128 gigs of storage. Battery should last 10 hours on a charge. Google appears to be working on a way to let users log into Windows 10 machines using their Google accounts. 9to5google.com says the system takes advantage of Windows’ ability to use 3rd party credential providers. Without getting into the weeds, you would just use your Google account email and password to log in. It does look like users will need to have Chrome installed to take advantage of this. No date on when it might be available, but much more detail is available at Bleeping Computer. 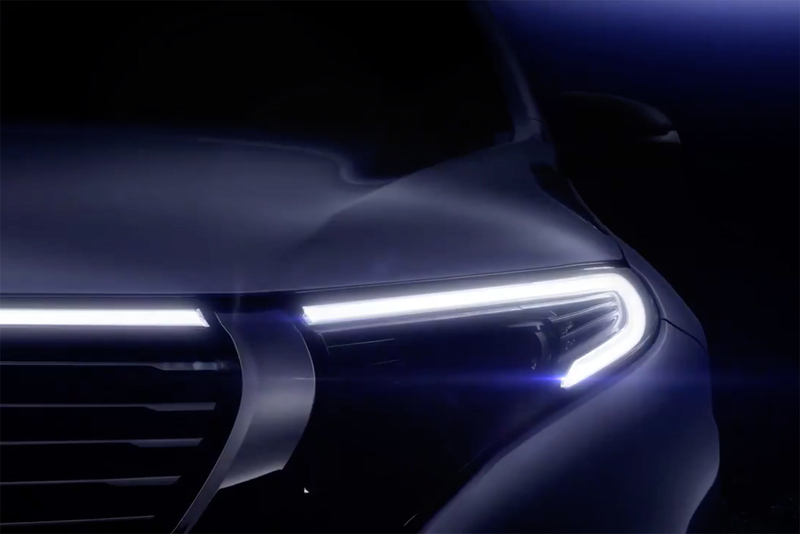 Their company slogan for over 100 years, a personal motto of Gottlieb Daimler, has been ‘The best…or nothing.’ Now, Mercedes is going to reveal their first production electric SUV on September 4th. According to engadget.com, a very brief video clip dropped of the vehicle over the weekend. It does have a grill…unnecessary in an e-vehicle, but perhaps necessary from a branding standpoint…making it clear that it’s unmistakably a Mercedes. Interestingly, except for the tiny script on the crest on the hood, Mercedes-Benz has never put their actual name on a vehicle in the past 70 years…only the iconic 3 pointed star! The e-SUV will roll with a 400HP motor system and 70kWh battery pack. It will boast 0-62mph in under 5 seconds and a 310 mile maximum range. It should hit the roadways in 2019. The smart speaker market is exploding, but no one knows how much longer it will sustain such growth. Geekwire.com reports that an analysis by Canalys estimates that in the second quarter of this year, the market grew 187% worldwide year over year, with shipments of 16.8 million smart speaker devices. Amazon still commands half the market, Google now has a quarter, and the final quarter is divided up amongst Chinese players and Apple. Canalys sees Google shipping more than Amazon in Q2, 32.3% to 24.5%, but others disagree. Futuresource and Strategy Analytics say Amazon is still on top. The latter gave amazon 41% and Google 27.6% in 2nd quarter, so we’ll have to stay tuned to see who actually comes out on top when the smoke all clear. Google will roll out the Pixel 3 at an event in New York City on October 9th, according to a couple Bloomberg sources, in a story picked up by 9to5google.com. In addition to the Pixel 3 and Pixel 3 XL, we should also see a 2nd generation Pixelbook, a new set of Pixel Bud earphones, and a Pixel Watch running the Wear OS. We are pretty certain Apple will roll out its 3 new iPhone models on September 12th, but no one is certain about the name. Macrumors.com says Apple has considered ’S’ since this would ordinarily be an ’S’ year for them…they may have more significant changes next year….BUT is waffling on naming the OLED models that. Maybe that’s due to how it sounds. Although the ‘X’ model was supposed to be TEN, most people called it X. An Xs model could bring snark and ridicule…say it fast…Xs….excess! Well, a lot of people feel that way about Apple’s prices! Anyway, whatever it is should roll out September 12th. Several Apple tidbits seeped out yesterday. Businessinsider says Apple will release a new Mac Mini this fall aimed at pro users. The $500 Mini has no screen or keyboard, but you can hook them up and make it into an inexpensive computer. Often, however, they are used in computer rooms as remote computers and storage options for businesses. Also in the wings is a new laptop which will be like a MacBook Air. It’s unclear if it will BE an Air or just called MacBook, but will come with a 13 inch ‘Retina’ display…allegedly with a higher resolution than Apple uses on other products. It will also have thinner bezels around the screen. In addition, Apple will be dropping new Watch models….they have registered 6 numbers with the EU. The Watch is supposed to get a bigger screen, better health sensors, and longer battery life. The Watch could bow with new iPhones..no date, but thought to be on September 12th if Apple follows previous years. Finally, from Cupertino, the iPhones may be getting faster wireless charging. Presently, they can be charged at a maximum of 7.5 watts with a software update, but it looks like Apple will jump that up to 15 watts, matching what Samsung phones can do for wireless fast charging. Microsoft has pulled 6 phishing domains that belong to Russian government hackers. They had been registered to the GRU military intelligence agency….the ones alleged to have stolen and leaked the hacked Clinton emails in 2016. Theverge.com says the domains were aimed at spoofing government targets like ‘senate.group’ and ‘adfs-senate-email.’ Others were aimed at the International Republican Institute and the Hudson Institute…two conservative think tanks which have been critical of President Trump. It appear that these domains had yet to be used, to Microsoft may have prevented more Russian interference into the 2018 election. In an effort to fight gaming of their systems that has allowed malicious users to post fake news, and false reporting of true items as untrue, Facebook has started assigning users a reputation score ranging from zero to one. According to bloomberg.com, it’s not intended to be an absolute indicator of a person’s credibility, but it’s one of numerous behavioral clues the company is using to try to fight fake news and people who tag items as false just because they disagree with them. Academics are already complaining that Facebook isn’t being transparent about this, but OTOH, if they were, people would be able to more easily game this safeguard. You may get a chance to buy a copy of one of the most legendary movie cars ever made. Aston Martin is going to build 25 new DB5 cars like the one featured in James Bond’s ‘Goldfinger.’ Arstechnica.com says the cars won’t have an ejection seats, and even though they won’t be street legal, probably won’t have machine guns, oil slick dispensers, or tire flatteners, but will have a rotating license plate. No word on the pop up bulletproof shield. Dust off your checkbook…they will go for $3.51 million bucks EACH!